2009-02-26 [LynnAnneBrown]: Yah I am not a big fan of landing on pages that the only thing one them, is a few words saying "Under Construction" or Like I did "this will be the future home of" What I put there is only a quick place holder, A suggestion of what I would like to see, but I think Bridh was happy for the attention. 2009-02-26 [LynnAnneBrown]: They do at that. 2009-02-28 [Araglas]: Wow! This place is really growing! I can't wait for it to get even bigger! 2009-02-28 [LynnAnneBrown]: I've been up playing by the gate again. Made some changes. I think it will be more inviting like this. What do you think? 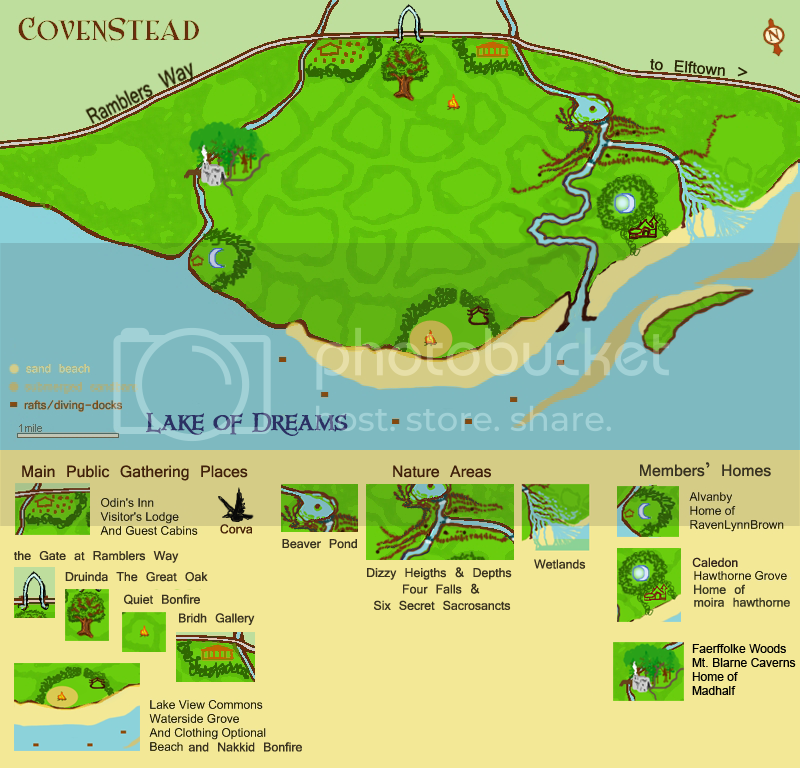 2009-02-28 [LynnAnneBrown]: I just started Covenstead Page 2 so that we can continue telling our story there. And for this part I'd like to invite folk to be more active in the top side of the wiki. If you feel comfortable doing this on your own go ahead. If you could use some help, Just Ask. 2009-03-02 [LynnAnneBrown]: I made a drawing of The Bridh Gallery, or at least one of the buildings that would be part of it. It's a bit rough but I like the idea. What I thought might be fun is to get folk to give their description of what they think different places in Covenstead would look like. The descriptions could be in the form of Words, Drawings, Photo's of things and places that would fit nicely, and any else that is not coming to mind at the moment. I think it could be a lot of fun. 2009-03-03 [LynnAnneBrown]: Thankyou Sir Humbledwarf.